So, what is the key to finding the best dog toys; those that your dog will go crazy about? They key is NOT to find them but to TEACH your dog how to love them all! The best dog toys are durable, interactive and fun for your puppy! But… I hear it over and over again: "My dog has dozens of toys and he doesn’t play with them". Dog toys are one of the most useful things you can buy for your puppy. They enrich the life of your pet and keep him entertained and away from your furniture and shoes! Different dogs have different preferences about texture and function when they can choose a toy. This could be due to personality, breed or experience. Luckily, there are many different types of dog toys in the market (and some you can make yourself!). The best dog toys will literally enrich your dog’s life. This means that they will increase the behavioral choices of your dog (make them more creative), they will encourage dog appropriate behavior (and reduce abnormal behaviors) and increase their ability to cope with challenges and stress. As mentioned before, toys should encourage appropriate dog behavior, this is not what you are thinking…it actually means chasing, scent tracking, chewing and dissecting. All of these on the toy, not your furniture! 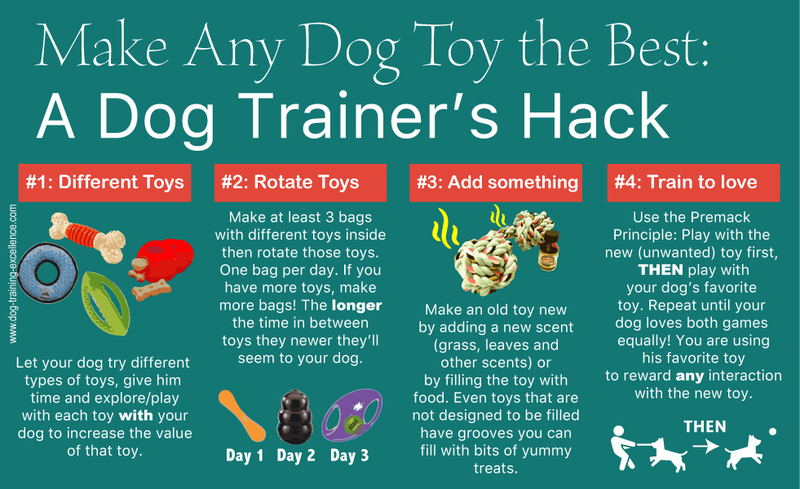 Tip #1: Let your dog try different types of toys. Many dog breeds were created to do certain tasks during a hunt. For example, Border collies chase and stalk, retrievers bring back game and pointers find prey. If you have a breed dog, you may find that your dog enjoys toys that encourage the behavior he was bred to do. The best dog toys for your dog may be those that encourage his inner instincts. There are many different types of dog toys. Some toys are great for active play like balls to fetch, ropes to play tug-of-war and squeaky toys to arouse your pet to play. Other dog toys are good to keep your dog entertained and ignore distractions (like guests), these can be interactive dog toys you can fill with food or chew toys your dog can lay down and munch on. There are also stuffed toys which some dogs love to shake, “kill” and dissect while other dogs like to use them as comfort blankets and carry them everywhere they go. 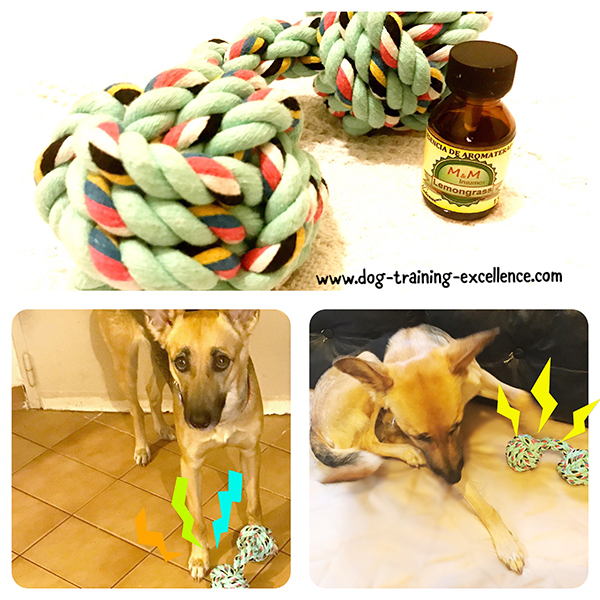 Give your dog a chance to explore different types of toys and don’t give up if your dog’s “seems” not to like a toy, I will teach you how to make your dog love ANY toy below. Tip #2: Rotate the best dog toys to keep them new. Dogs like investigating new things but for most dogs the novelty of a new toy will run out in about that time, 2-5 minutes. A scientific study published in 2012 in the journal Animal Cognition shows that dogs get bored with a toy about 2.5 minutes after playing with it. An earlier study shows that dogs prefer to interact with new toys than previously known ones. This does NOT mean you have to buy new toys every day for your dog to keep him occupied, you can make old toys new. Each group of toys has one or more type of toy: interactive, tug, chew, squeaky, etc. As you buy the best dog toys, separate them according to type of toy, then place one or two of each kind in a bag or box. I suggest you have at least 3 boxes. You will give your dog the toys in each box in three different consecutive days. 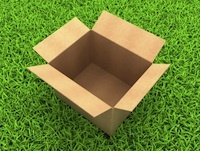 Then you can start again with box #1. 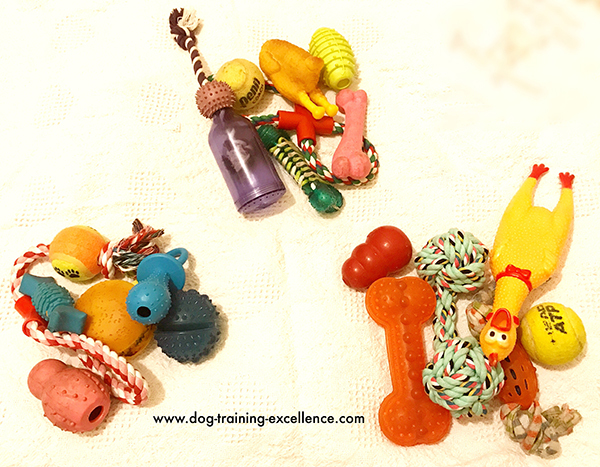 If you have lots of dog toys, you can make more boxes, the more time that passes between boxes, the “newer” those toys will seem to your dog. Tip #3: Make an old toy new by adding a new scent or food. What makes a new toy so interesting to your dog? Probably the smell, although texture and movement will also play a role. You can make an old toy new by adding a new scent to it. For example, you can rub a little bit of scented oil or rub the toy in someone else clothes, park leaves or grass. When you give the toy back to your dog he will find it very interesting! Interactive dog toys, those you can fill with food, can also become new every day if you fill them with different types of food. I love to hide a piece of something new and different at the bottom of a Kong dog toy every day so my dog will have a surprise. For example, one day I will add a seedless olive, another day a piece of liver, and yet another day a crunchy treat. It’s like a “surprise egg” for dogs! This means that your can re-use a Kong dog toy or any other interactive toy everyday, just fill it with different things and make the dog use different strategies to get the food. Tip #4: Teach your dog to love any toy. Dogs are social animals and one of the best enrichment activities you can give your dog is to play with him. In addition, any toy that you use to play with your dog will have an added value because now its associated with you and having fun together! Very often, people tell me how their dog like one particular thing and doesn’t like another. 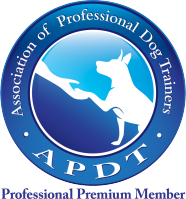 I am a dog trainer, my job is to change dog behavior. So, let me tell you a secret… you CAN teach your dog to like and even love a toy he usually doesn’t. How do you make your dog love any toy? In dog training we often use something called “The Premack’s Principle”. This principle is something you probably know very well… from your mom. Remember when you were young and she would say something like “Eat your vegetables if you want dessert”? If this happened to you, you are likely a person that now, as an adult, enjoys to eat your vegetables. The Premack’s Principle says that a person (or animal) will do a less desirable activity in order to get to do a more desirable one. In this instance, the more desirable activity becomes a reward for doing the less desirable one. With many repetitions, that person (or animal) will actually enjoy the “less desirable” activity as much as the more desirable one. Now both activities are equally and highly desirable! How to put this in practice? Play with a toy your dog doesn’t like very much first and as soon as your dog engages with it, give him a toy he loves. You will need to be patient and persistent at first, do not give up and keep the energy of the game very high! Move the toys around, pretend you are biting and playing with it, toss it in the air, anything that will catch your dog's attention. In the beginning, as soon as your dog engages just a little bit with the new toy (sniffing or tasting it), bring out his favorite toy right away and play like it's a party! After several sessions, you can start asking for more engagement (actually grabbing the toy, tugging, etc.). 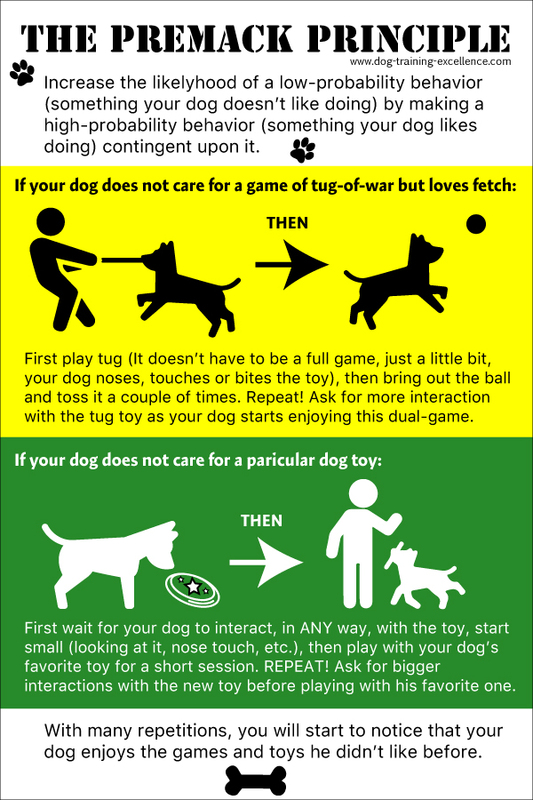 Repeat many times, as many as it is necessary to make your dog love both toys equally. 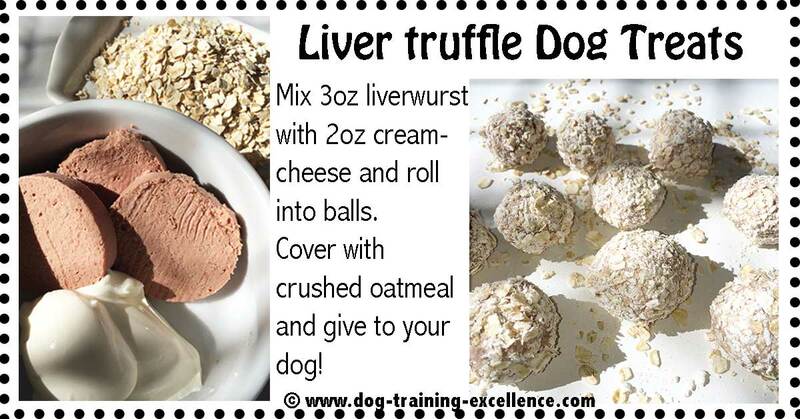 Depending on your dog's experiences and tastes, this can take a few days, a few weeks or even a few months. You can then start the whole process again with another toy and use this one as the favorite. Make all of your dog toys, the best dog toys! 16 Best Dog Toys to Fulfill Your Dog’s Dreams! Make sure you always buy the right size dog toy and supervise your pet to prevent chocking or swallowing big parts. Some dogs love to make noise! Squeaky toys can be a lot of fun…and also a bit annoying, although you can't argue that a dog enjoying a squeaky toy is super cute! These are the best dog toys that make noises! This super cute furry ball comes with chew guard technology and double stitched seams to last longer than the standard plush toy. It has a big loud squeaker that your dog will love! Adorable Squeaky plush toys with NO stuffing. Their design is great to play tug-of-war. Each one has 3 squeakers inside, so hopefully it will take your dog a little longer to disable them all! Combine squeaky time with dental health! This toy will clean your dog's teeth while he entertains himself chewing and making noise. How about a different noise? These sticks are a winner with a crackly sound. They can also be filled with cheese for your toy to squeeze it out! Make sure your dog does not chew through a dog chew toy too fast. Rawhides are one example, if your dog takes days or weeks to finish a rawhide bone, then he is probably OK, but if it takes him a few minutes/hours or just one day he is eating it too fast and may harm him. These are the best dog toys to chew! As natural as it gets. Deer and elk antlers are a great way to keep your dog a happy chewer. Nylabone has a great selection of chew toys. They are made in a way that prevents big chunks of the toy to come off and be a hazard to your dog. Bullysticks are easily digestible because they are made from beef (not hide, like rawhide). Braided ones are tougher and more durable. Exclusive Dual-Enzyme System Chews reduce plaque and tartar helping keep teeth clean and breath fresh while your dog enjoys a chew. Interactive dog toys are the ones you fill with food and your pooch has to figure out how to take it out. There are a few non-food related interactive dog toys but the most popular ones involve food. There is a phenomenon known by ethologists called "Counterfreeloading". Basically, many animals (of all species) in certain situations will prefer to work for their food rather than have it served on a plate freely available. These toys fully take advantage of this occurrence and motivate your dog to play and think while eating his food. Interactive toys are the best dog toys to enrich your pet's life. These interactive toys will make your dog use his nose as well as solving problem skills. They are a great enrichment option and come in different levels of difficulty. Here is a great example of a non-food interactive dog toy. These cute squirrels hide inside the log and your dog has to get them out. It's a cuter version of the "dissecting" game. This mat will encourage your dog to use its nose to search for hidden pieces of food below the many flaps and inside the many pockets. This is a great toy to feed your dog its regular food, it's a little more dificult than a regular bottle because the tug-rope creates and added obstacle. The following durable dog toys are design for those dogs that can't seem to keep ANY toy in one piece for longer than 5 minutes. You may also call them indestructible dog toys but if you have a really aggressive chewer, your dog may (eventually) break them, it will be tough. Kong dog toys, those that are made with red or black rubber are really good, I have never met a dog (in my 15 years as a dog trainer) that broke one of these. These are some of the best dog toys that will last longer, even for strong jaw chewers. The Kong® brand of dog toys is an excellent place to start. Their classic Kong toy is the most popular interactive dog toy in the market because it's durable and you can use it in many different ways. If your pet can chew through the outer layer to expose the inner red layer, GoughNuts will replace your toy! They recommend you take the toy away from your dog at that point. Chew Shield Technology construction and super strong seams that keep you and your pup pulling and playing longer. 100% Guaranteed against dog damage by manufacturer. It's also a treat dispensing toy. Hope this article helps your find the perfect and best dog toys for your furry best friend but remember that you can teach him/her how to love them all. Try shaping with a clicker! Shaping is a dog training technique that you can use to teach your dog complex behaviors (such as "turn the lights off") or simply to play and keep your dog mentally active. Another way to spend some quality time with your pooch is to bake some yummy treats and enjoy feeding him and watching his mouth melt! The best way to enrich your dog's life is to teach him/her new things. 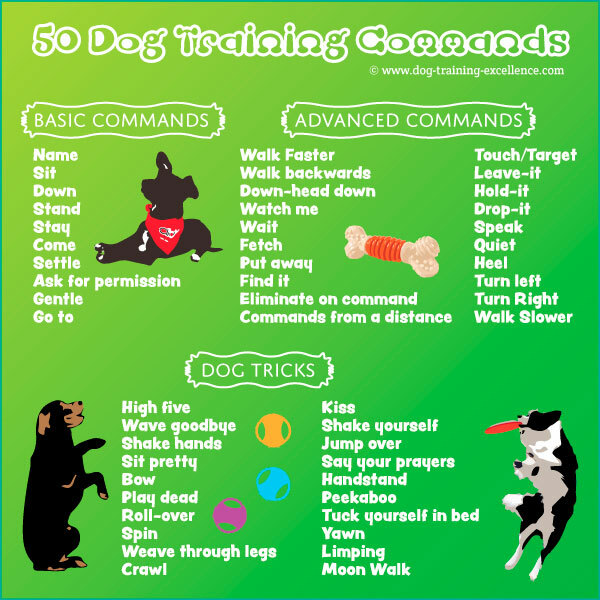 You can start with basic commands and move on to more advance ones.